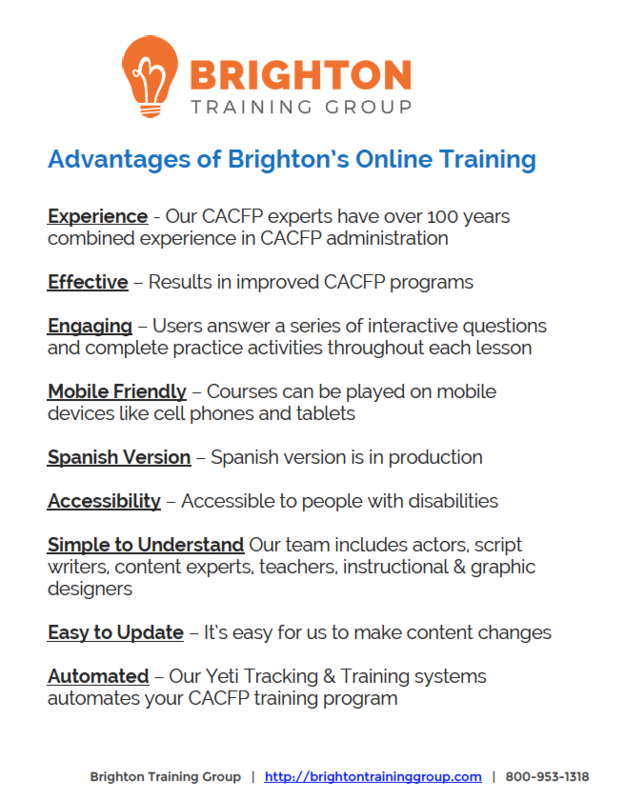 Brighton Training Group specializes in providing online CACFP training to state agencies administering the Child and Adult Care Food Program (CACFP). 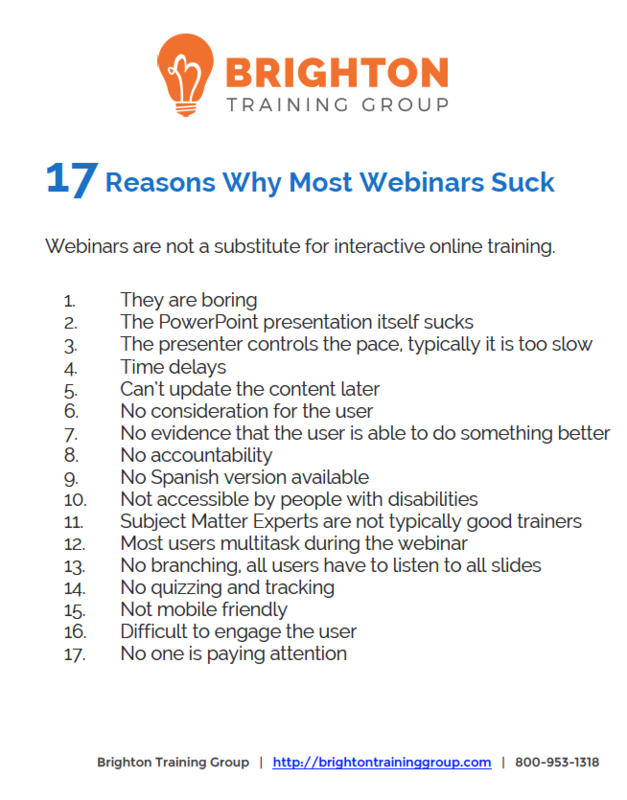 Providing mandatory training to returning and new sponsors on is both expensive and time consuming. 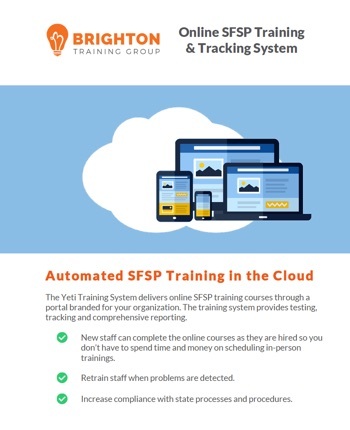 Brighton’s online training and tracking system enables states to deliver the compliance training online and helps to automate the entire training program.